Today I met up with a good friend for lunch. 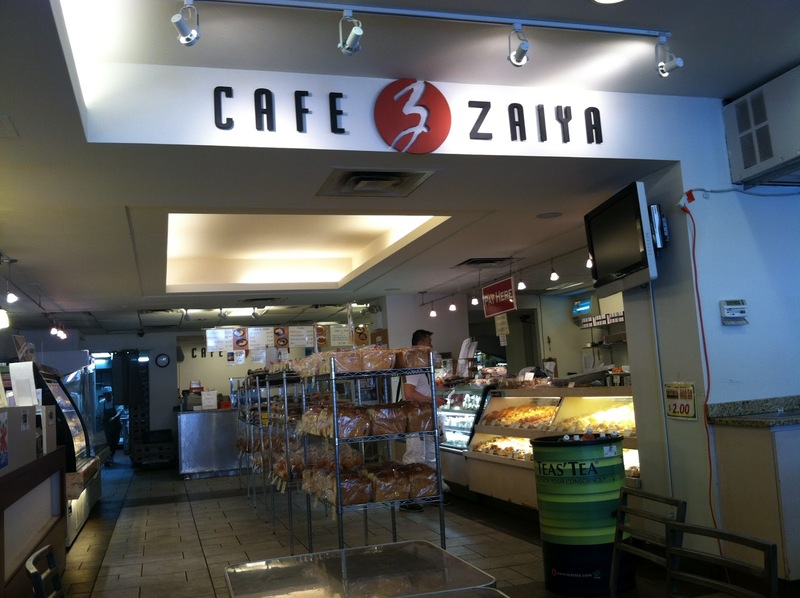 We didn't know what was open in Midtown on July 4th, so we walked around and found Cafe Zaiya. I've always wanted to find this place, but never got around to doing it. The whole block is actually a little gem. 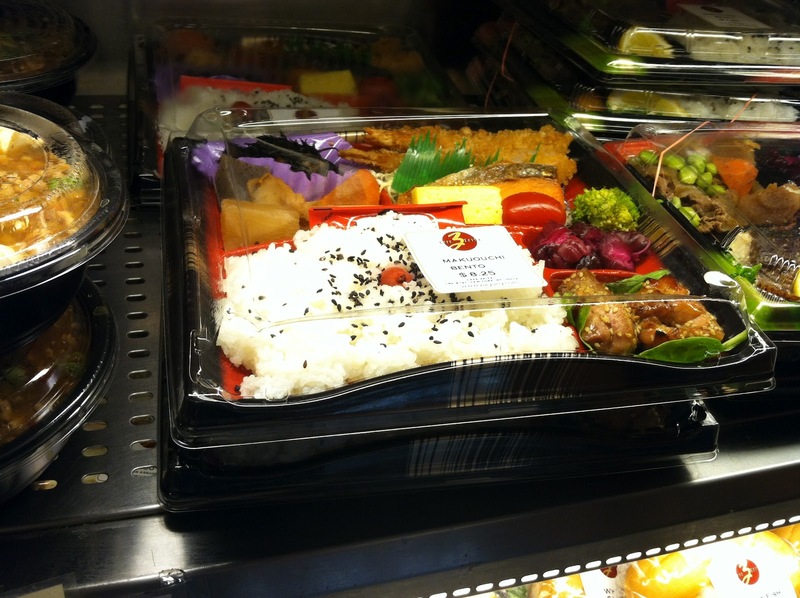 It's like a Little Japan hidden in the concrete jungle of Midtown. 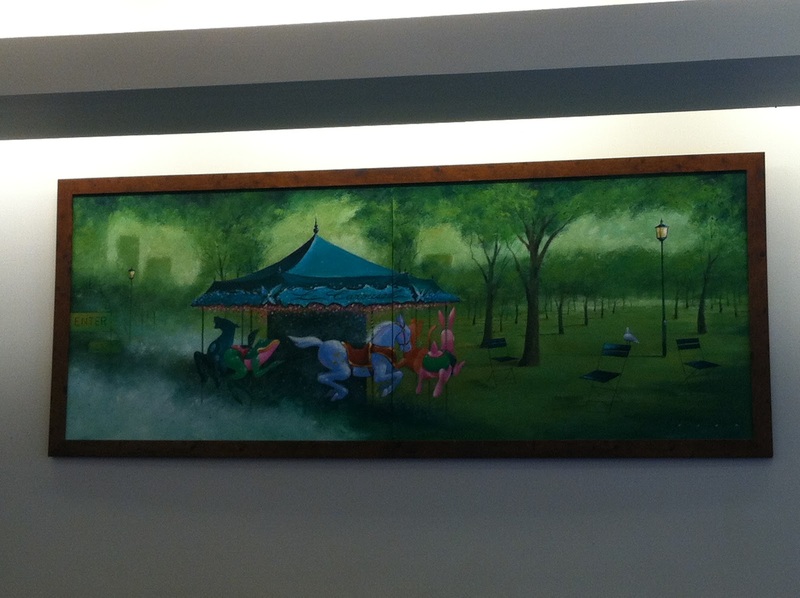 It's got a really interesting artwork of a carousel. 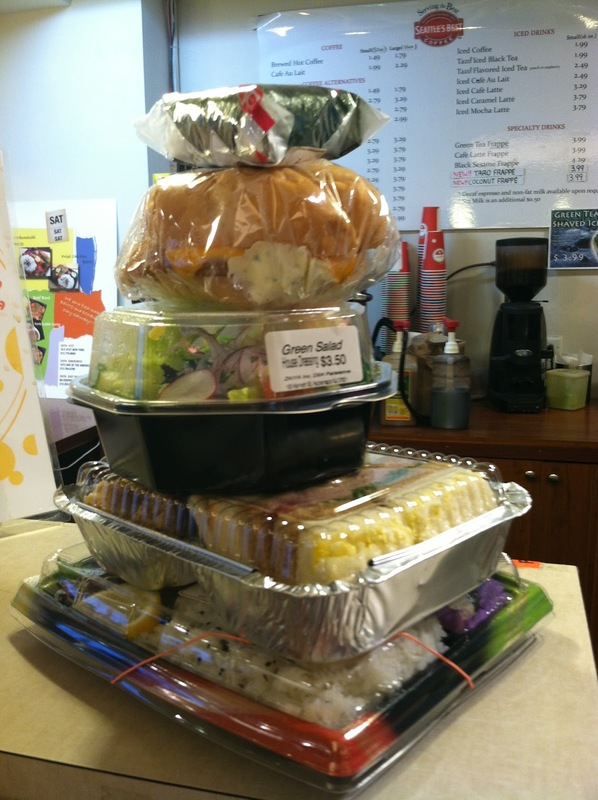 It doesn't quite fit with the decor but hey, everyone's in it for the food, especially in Midtown where lunch is usually grab-and-go. 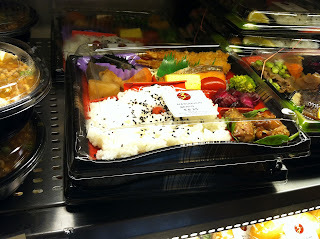 I was pleasantly surprised by their wide assortment of fresh Japanese breads, pastry and bento boxes. All of them were authentically Japanese (like the curry puff) and reasonably priced. 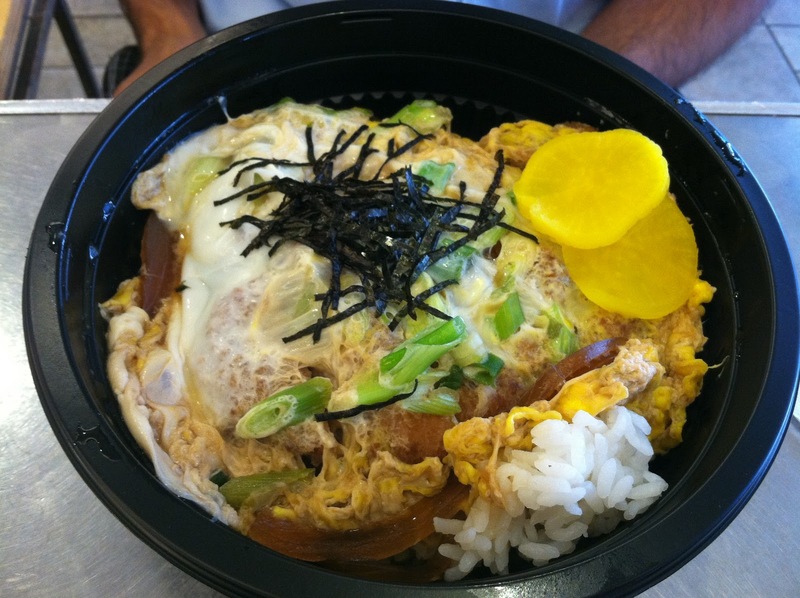 I got a tempura udon and my friend the Katsu Don, which I'm not exactly sure what it was but it looked like an omelette on top of fried rice. 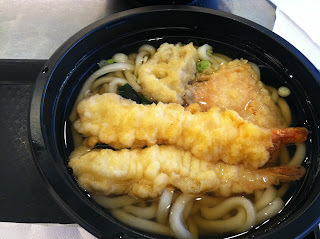 The udon was tender and chewy at the same time, with intense flavor soaped through in the noodles. Somehow with so much flavor, the soup was addictive, and didn't leave you diving for water like some udon noodles that overdose on soy sauce. The tempura was a bit soggy after lingering in the soup for a long time, especially since our lunch lasted for 2 hours. Hubby's dish resembled an egg foo young with seaweed on top. I assume it was pretty good, since my friend is a Japanese connoisseur who speaks the language (although he's not Japanese himself). Later on, we met up with another good friend at her apartment and their mutual friend. I didnt know so many people from our school lived here! We chatted about life in the Big Apple. It was funny because all of us are Canadian, and you don't realize how Canadian you are until you come to this part of the world (also ironic I'm saying this on July 4th). We all cringe when Americans pronounce the letter z "zee". How aboot saying "zed" like "led", eh? We trekked back to Cafe Zaiya to grab some ice cream. 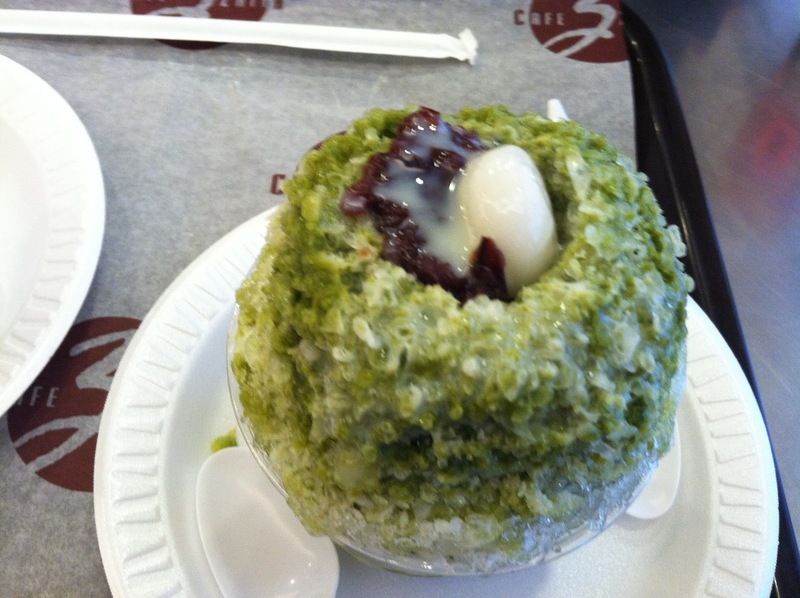 We ordered two matcha green tea shaved ice with red beans and a rice mocha atop (the Japanese equivalent of ice cream sundae with a cherry on top). 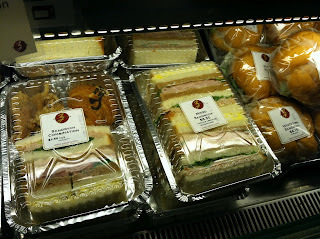 It was a bit difficult to eat at first because it was ice. You have to wait a bit to break off the ice to really eat it properly. I think the best part about it was the red bean, but the ice:bean ratio is really large so you don't really many mouthfuls of the sweet mushy beans. I guess there's just something about mushy starchy things that attract me. 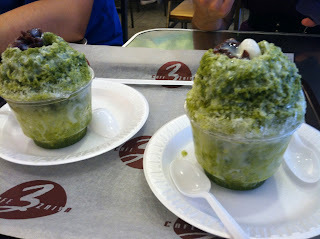 The shaved ice tastes really great towards the end when all the ice melted into the matcha powder, so you can literally drink the ice. I think I would have enjoyed the green tea or sesame ice cream better. Why do I keep on making the wrong decisions about ice cream? Sigh...perhaps it's just karma's way of saying I'm just too attached to it. We chatted for another hour or so, and by the time we were almost done, I noticed that everything was up for 50% off. So we grabbed a bunch of stuff and headed towards the register. Later on I had the garden salad with peanut sauce. 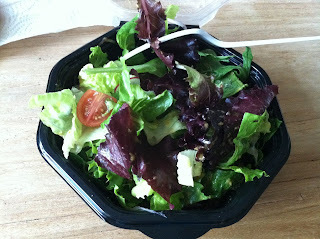 It was my first salad in a couple of months and it tasted absolutely divine! I gulped it all down and wondered why I had missed out on it for so long. (Oh I know, perhaps because all of the other salads I had looked like it was expired). Unfortunately I didn't get to watch the fireworks in person this year, but it was fun catching up with ole-time friends and discovering the massive brain drain that is New York.